Flat 9,000 off.Flat 9,000 off. Honor 9i is a great phone with huge internal storage. It has a good ram size. Display is also good. The processor is not that fast. The battery is also average. The camera quality though covers all the cons. Honor has come back and made it’s mark in the market with the 9i. The dual cameras on the back as well as front is too good to be true at this price. Average battery life on 4G. Just not comfortable with the big screen size. Honor 9i comes with 18:9 aspect ratio display which looks super awesome and viewing angles are amazing on this device. There is a front selfie flash which helps a lot since the cameras in this device are just average. Also, the build quality of this device is amazing. Overall a very good phone with fairly good specs. If you want a nice looking phone shelling out some extra bucks for a beautiful gadget with every aspect covered its not a bad buy. Honor 9i is one of the recent smartphone from the brand Huawei. This time the brand went with Full view display which looks amazing thanks to the display quality. Watching movies on large immersive 5.9-inch is going to be a killer. Their custom UI is full of cool features which helps a lot. Battery life is just average. Cameras are great but not that much but still it&apos;s the best deal out there in the market. I have been using this device for 5 months, Full view display which looks amazing, Overall a very good phone with good specifications. The build quality of this device is amazing. 8 Pricebaba users have written their experience with Honor 9i. 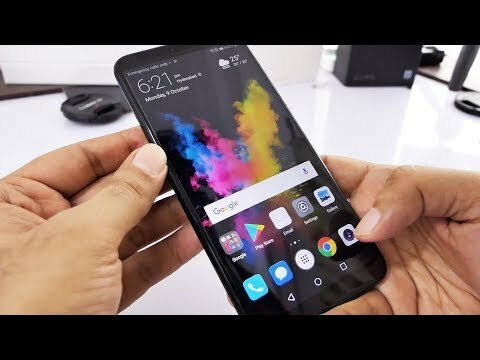 If you own Honor 9i, please do leave your feedback too. Warranty Details 1 Year for handset, 6 Months on battery , 6 Months on charger & 3 Months on data cable. Lowest price of Honor 9i price in India starts at Rs. 10,999 Honor 9i is available on Flipkart at Rs. 10,999 and on Amazon at Rs. 11,650. Prices updated on 20th April 2019. Honor has been releasing good quality smartphones for the Indian market such as the Honor 7X and the Honor View 10. The Honor 9i is placed between the 7X and the View 10 and borrows design cues from both. The main highlight of this phone is its large display and the sheer number of camera sensors on this phone. In terms of design, the phone is built of a premium metal unibody design. The rear side is where the fingerprint sensor, its primary camera setup and LED flash is located. On the front, the phone features a large 5.9-inch Full HD+ display having a resolution of 2160 x 1080 pixels. The phone display reaches a pixel density of about 409PPI which means the picture quality on this smartphone will be good. The phone also sports 2.5D curved glass to improve the user experience. In terms of performance, the phone is powered by the octa-core Kirin 659 processor manufactured by HiSilicon. The processor is clocked at 2.36GHz and is mated to a Mali-T830 GPU and 4GB of RAM. This will ensure smooth multitasking and good gaming performance. AS far as storage is concerned, the Honor 9i ships with 64GB of internal storage which can be expanded up to 128GB through a microSD card slot. The phone also supports USB OTG with which you can connect a USB drive to the phone. In the optics department, the phone packs in an abundant number of camera sensors, four in all! On the back, the phone features a dual-rear camera setup comprising of a 13-megapixel sensor and a secondary 2-megapixel sensor. On the front, the phone features a dual front-facing camera as well. This comprises of a 16-megapixel sensor and a secondary 2-megapixel sensor. On the software side of things, the Honor 9i runs on Android 7.0 Nougat out of the box. As far as connectivity is concerned, the phone checks all the right boxes and offers support for 2G, 3G and 4G VoLTE. It also offers support for WiFi, Bluetooth and GPS. On the bottom, the phone is fitted with a microUSB port for charging and data transfer purposes. The phone draws power from a large 3340mAh battery which should last through a day's use. Ans: Yes this phone has a hybrid second slot. You will not be able to use a microSD card and a second SIM card together. Ans: This phone uses the standard Micro USB port for transferring data and charging. Ans: No, the battery is non-user-removable.